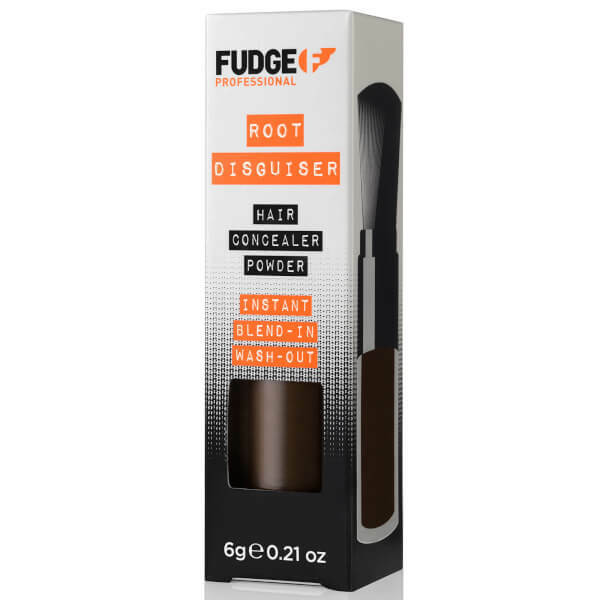 Top up your colour between salon visits with Fudge Dark Brown Root Disguiser, a wash-out root concealer powder that delivers instant results. 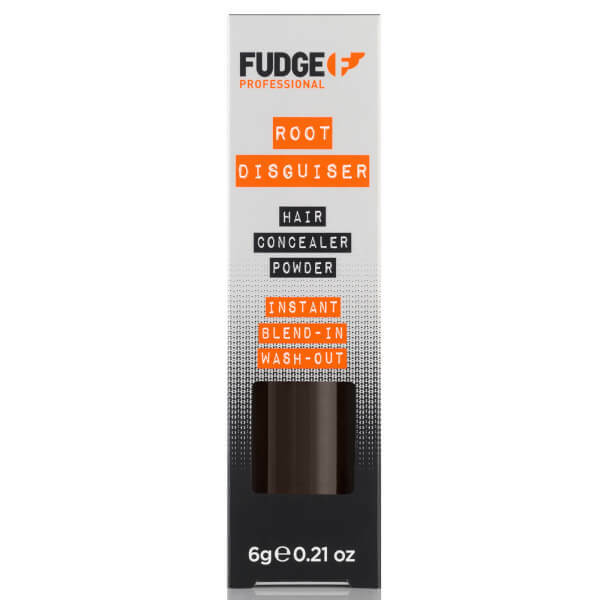 Disguising colour regrowth at the root, the powder is made with micro-pigmented particles and Matte Veil Technology for natural-looking coverage. The integrated brush enables precise and targeted delivery for fuss-free, professional-looking results. 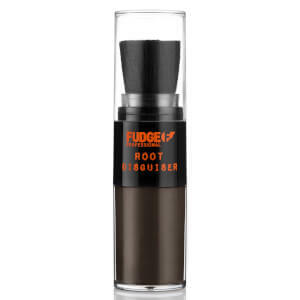 Simply apply powder at the roots and blend for instant root coverage. The non-permanent powder also amplifies texture for a flawless finish. Humidity and transfer-resistant. Tap the brush head firmly on a hard surface until the powder begins to release, then apply to roots gradually to build up colour until desired coverage is achieved.